Dr. Bender believes that optimal health is essential for a good life. He is passionate about helping others achieve optimal health using complex homeopathy, botanicals, vitamins, minerals, and other nutritional means. A balanced lifestyle and lifestyle habits are also essential to the whole program. He believes that in our present daily toxic environment, it is important to assist the body in eliminating toxins and to prevent or limit further exposures. His main goal is to assist the body's ability to heal itself and enhance its healing and self-recuperative properties. Dr. Bender received the prestigious Naturopath of the Year Award in 2003 from the Ontario Association of Naturopathic Doctors. 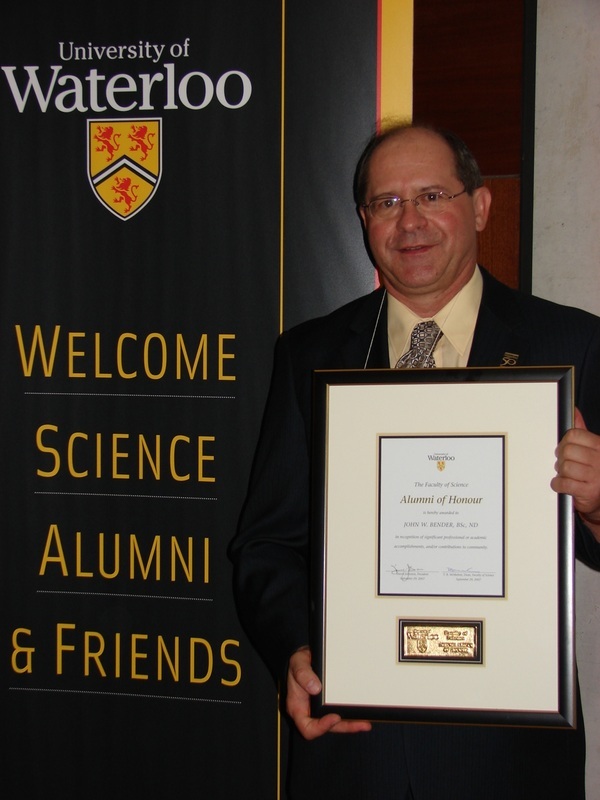 In 2007, John was one of 50 Faculty of Science graduates of the University of Waterloo to receive the Alumni of Honour Award. 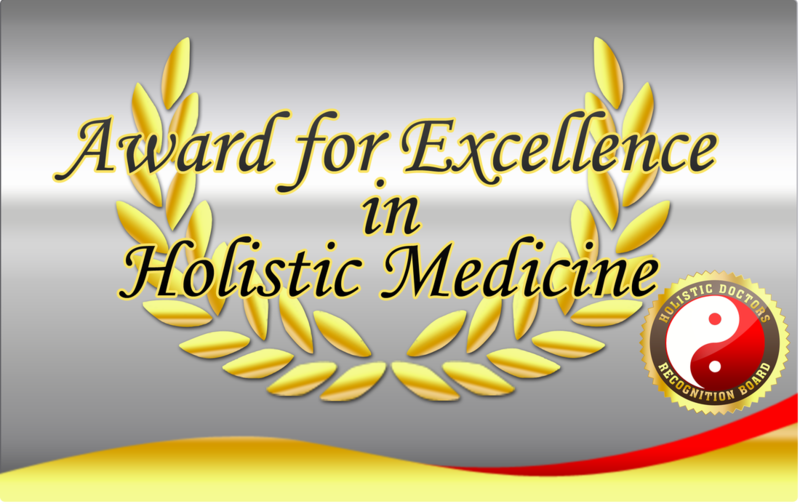 He recently received the Award for Excellence in Holistic Medicine from the Holistic Doctors Recognition Board. Dr. Bender was born and raised in Crosshill, in the Kitchener-Waterloo area, Ontario. He attended the University of Waterloo and graduated with a Bachelor of Science in Honours Biology in 1972. During this time, he also worked at Kitchener-Waterloo Hospital (now Grand River Hospital) as a Medical Attendant and later as an EMT (Emergency Medical Technician/ambulance driver and attendant). He graduated from the intensive EMT course at CFB Borden in first place. After working full time on ambulance for over three years, Dr. Bender became interested in becoming a physician but was disgruntled with the state of medicine and the closed mindedness he observed while working at the hospital. About this time, he was introduced to a Waterloo naturopath, Dr. Arno Koegler. Under Dr. Koegler's influence, even though naturopathic medicine was relatively unknown, Dr. Bender began his studies in 1975 at National College of Naturopathic Medicine (NCNM) in Portland, Oregon, the only naturopathic school in North America at the time. He graduated in 1979 and after passing the Ontario Board exams succeeded his mentor, Dr. Koegler. Dr. Bender has found it particularly rewarding to continue what Dr. Koegler started while putting his own stamp on the practice. One of the unique features of his practice is manufacturing most of his own homeopathic remedies. Dr. Bender attends many seminars and utilizes many educational tools to remain current. John believes that learning naturopathic medicine and homeopathy is a lifetime commitment. From 1995 to 1997, he attended the course "Drainage and Homeopathy" given by Dr. Michel Bouko Levy, and implemented updated therapies from Europe to his therapeutic arsenal. Dr. Bender has served on numerous boards, including the Naturopathic Regulatory Board (i.e. Board of Directors of Drugless Therapy-Naturopathy) under the Ontario Ministry of Health for many years. 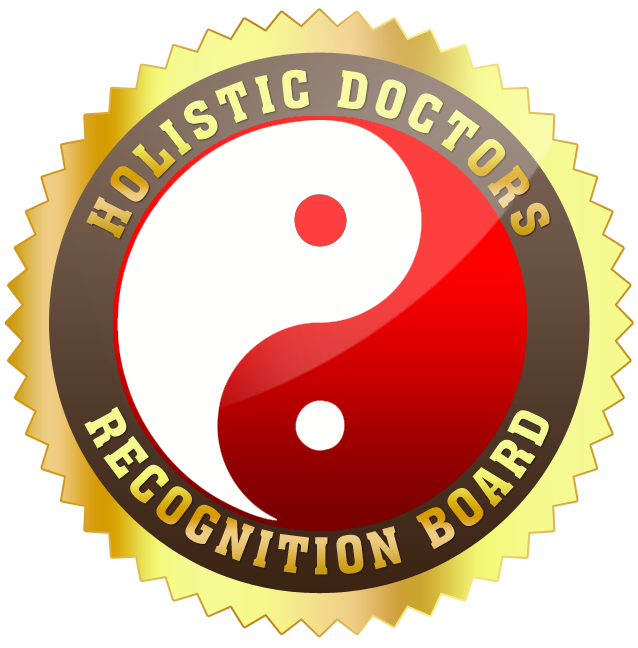 Dr. Bender is an active member of the Ontario Association of Naturopathic Doctors (OAND) and the Canadian Association of Naturopathic Doctors (CAND), and an Adviser for the Holistic Doctors Recognition Board.